Internal fistulas (IFs) and abscesses are the most common complications of Crohn disease (CD). To reliably diagnose and clearly distinguish inflammatory or fibrostenotic manifestations of CD from its complications is of paramount importance to appropriately guide therapeutic decisions. 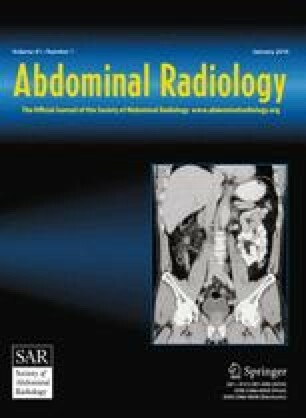 Magnetic resonance enteroclysis (MRE), a recently introduced technique for small bowel imaging, has proved a high efficacy in the depiction of luminal and extraluminal manifestations of CD and holds great promise as a powerful diagnostic tool in the comprehensive diagnostic workup of this disease. As of yet, the characteristic imaging appearance of IFs on MRE has not been described in detail. This article reviews the performance of conventional imaging techniques and the current potential of MRE in the depiction of IFs in CD. Typical imaging morphology and characteristic imaging findings of IFs on MRE are described in detail and a newly defined and highly indicative imaging finding, the “star-sign,” is presented and discussed.